Last month Cornwall Adoption Centre held an Easter education event. 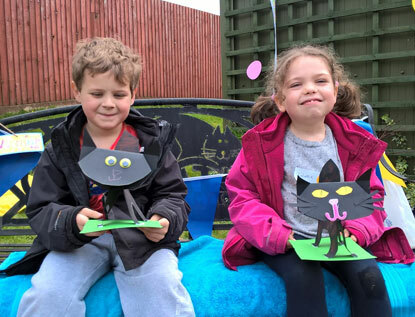 It was their first event specifically aimed at children, so they decided to call it their Children’s Cat Club and it was so successful that they have more already planned! Children aged three to 12 years old were invited, along with their parents, to attend the two-hour event which began with a tour of the centre, finding out where the cats live, why they come into the centre and learning how the centre staff and volunteers care for them during their stay. This was then followed by a short talk and quiz where everyone learned how to keep a cat healthy and happy. There were several art and craft activities to follow and the children decorated cat masks, made cat finger puppets and stand-up cats. 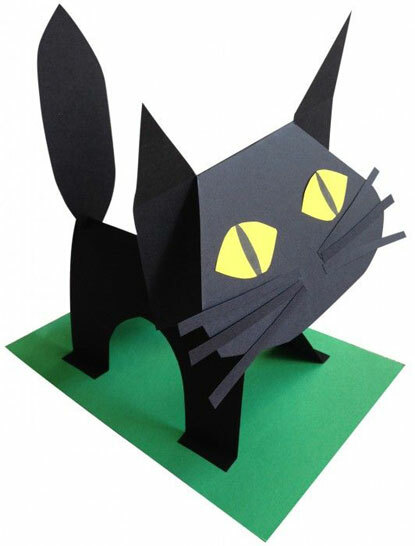 The black stand-up cat design was created by Kathy Barbro (http://artprojectsforkids.org) and with her kind permission we’re able to share the template with you here so you can make it at home too. The children really enjoyed making them! Their event finished with an Easter egg hunt (all cat themed clues!). The Cornwall Adoption Centre will be holding further Children’s Cat Club events on Monday 25 July and Monday 22 August. Details will be posted on their website at www.cats.org.uk/cornwall nearer the time.